The Federal Circuit Court of Australia (the Court) can review some decisions made under the Migration Act 1958. These include decisions made by the Minister for Immigration and Border Protection (the Minister), the Administrative Appeals Tribunal (AAT) and the Immigration Assessment Authority (IAA). The people responsible for making decisions under the Migration Act include the Minister and the Members of the AAT and IAA (the decision makers). 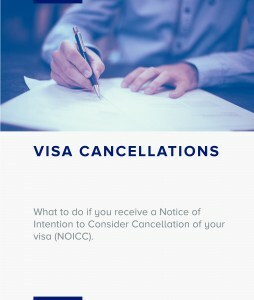 These decision makers look at the merits of your application and whether you should or should not be granted a visa. The Court may only review a decision in order to determine if a ‘jurisdictional error’ has been made. This means the Court determines if the decision has been made according to law. The Court is independent of the decision makers. 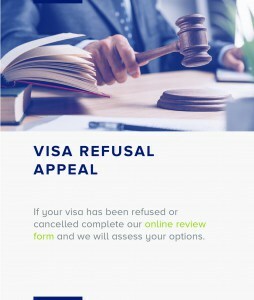 The Court does not consider the merits of your application and whether you should or should not be granted a visa. refer your case back to the decision maker, and. prevent the Minister from acting on the decision. If you are unhappy with the decision, you may apply to the Court if you believe a jurisdictional error has been made. You should seek legal advice before filing an application. Generally, court hearings are open to the public. In certain circumstances a closed hearing may be ordered. If your case involves a protection visa decision, the Court is not allowed to publish your identity. You must file an application for review within 35 days of the date of the migration decision. The Court may extend the time limit. If you require a time extension, you must ask for it in the application and explain why. The Court will decide whether to grant an extension of time. You can get these documents from the Court’s website or court registry. For help drafting an affidavit, see the Court’s fact sheet ‘Preparing an affidavit’ which is also available from the Court’s website. Your application must identify what jurisdictional error you believe the decision maker has made. In your affidavit, you must explain all of the relevant facts and circumstances relating to the alleged error. You must attach to your affidavit, a copy of the decision to be reviewed and any statement of reasons for the decision. You must complete all parts of the application; otherwise it may be returned to you for completion. You need to file your application and supporting documents with the Court. You can file court documents in person, by mail, or in certain circumstances by fax or email. Ensure that you file the original along with two additional copies. The Court will keep the original and return the sealed copies to you. You must pay a fee when you file your application and another fee for the final hearing. The fees do not apply in some cases; for example, if you hold certain government concession cards or you can demonstrate financial hardship. More information about fees is available from this web site or contact the court registry. After filing, you must give a sealed copy of your application and supporting documents to the Minister and in most cases the Tribunal who made the decision. This process is known as service of documents. You can serve the documents on the Minister via the Department of Immigration and Border Protection (the Department). The Department has offices in each capital city. Go to www.border.gov.au or call the Department on 131 881 for address details. the filing of amended or further documents. If the Court orders an immediate or a second hearing before a final hearing, the Court may require you to show that you have an arguable case. If you cannot show that you have an arguable case the Court may dismiss your application without a final hearing. At each court hearing the Court will give you an opportunity to address the issues related to your case. If you have a lawyer they will speak for you. The Minister will usually be represented by a lawyer, and you or your lawyer will have the opportunity to respond to what is said in court. The Court often announces its decision at the end of the final hearing. If not, you will be notified of the date the Court will announce its decision. Note – Unless the Court excuses you from attending, you must attend court whenever there is a hearing. If you fail to attend a hearing, the Court may dismiss your application in your absence and award costs against you. Legal costs are the fees and expenses charged to a client by their lawyer. Generally the unsuccessful party has to pay the legal costs of the successful party. If the Court dismisses your application you will probably have to pay the Department’s legal costs. The total cost will depend on the length of the case and the amount of work done. Part 2 of Schedule 1 to the Federal Circuit Court Rules 2001 sets out the legal costs that ordinarily apply. The Federal Circuit Court Rules are available at http://www.legislation.gov.au. If you choose to discontinue your case without a hearing, you will generally have to pay a reduced proportion of the Department’s legal costs. If you decide to withdraw your application, you must complete a Notice of Discontinuance and file it with the Court. You must also send a copy of the notice to the Minister’s solicitor. If there is less than 14 days before your final hearing, you must obtain the Court’s permission to discontinue your case. The legal issues concerning the review of migration decisions are often complex. You should seek legal advice about your application as soon as possible. You may be able to get some free advice from a legal aid office or community legal centre. Otherwise, you will need to choose your own lawyer and pay for this service. This brochure provides general information only and does not provide legal advice. If you have a legal issue, you should contact a lawyer before making a decision about what to do or applying to the Court. The Federal Circuit Court cannot provide legal advice.